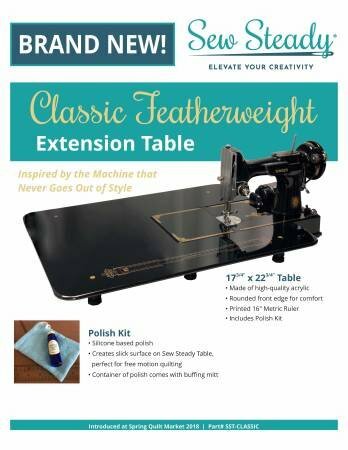 Classic Table - 18in x 23in Black Acrylic Table made exclusively for the Black Singer Featherweight 221k Machine. Gold Printed 16in Metric Ruler and Rounded front edge. Comes with a Sew Steady Acrylic Shine.